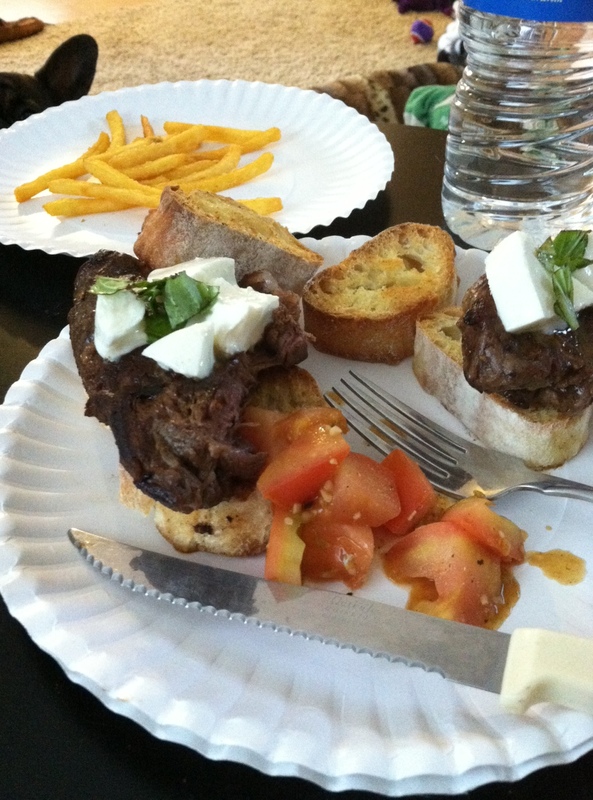 Caprese Tenderloin Bruschetta Recipe for Two! 1. Season tenderloins with garlic powder and salt/pepper. 2. Heat 1 tablespoon of oil in a medium skillet over medium-high heat. Add steaks to skillet. Cook for 5 minutes. 3. Turn steaks and bread; cook steaks for an additional 2 minutes or until cooked to your liking. 5. Add 1 tablespoon of olive oil to the skillet and heat oil over medium heat. Stir in garlic; cook for a few seconds. 6. Add tomatoes to the skillet; cook until softened, around 2 minutes. Stir in red wine vinegar and cook for an additional minute. I added some garlic powder and a bit of salt as well. 7. I placed each steak on 2-3 of the bread slices. 8. Then topped each steak with tomatoes, a few slices of the diced mozzarella and 1 tablespoon fresh basil. 9. Enjoy the fresh meal! 1. 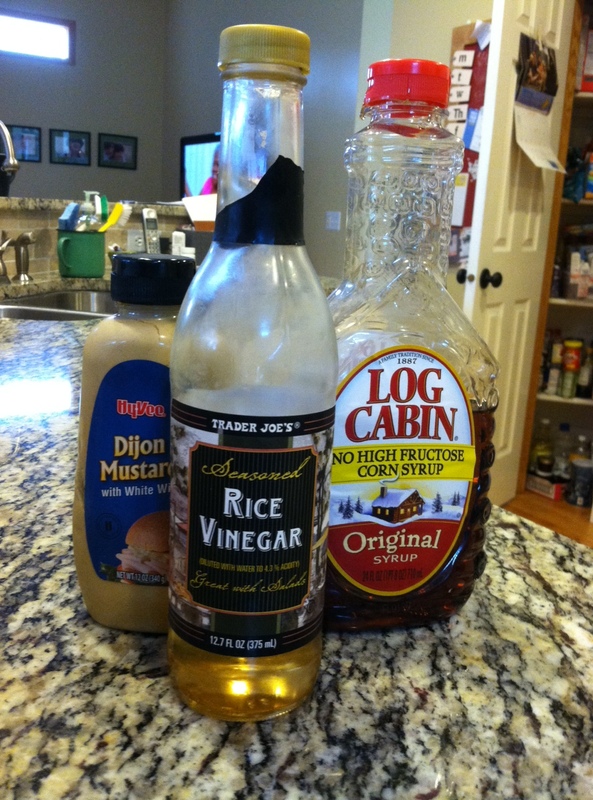 Mix the vinegar, maple syrup and dijon in a small bowl. 2. Place chicken in a baking pan (I would use aluminum foil to make it less messy) and apply a good amount of salt and pepper. Then cover it with the sauce. Make sure to coat everything. Then add some thyme and rosemary if you have any. 3. Bake at 425 degrees for 30-40 minutes. Then enjoy! One of my favorite places to go for a drink in Minneapolis is the Chatterbox Pub. They have a lot of different board games you can play with friends as well as some delicious cocktails. One of these cocktails is an amazing twist on the good ole mimosa–a strawberry lemonade mimosa! It is so fresh and crisp–what says summer more than lemonade?? 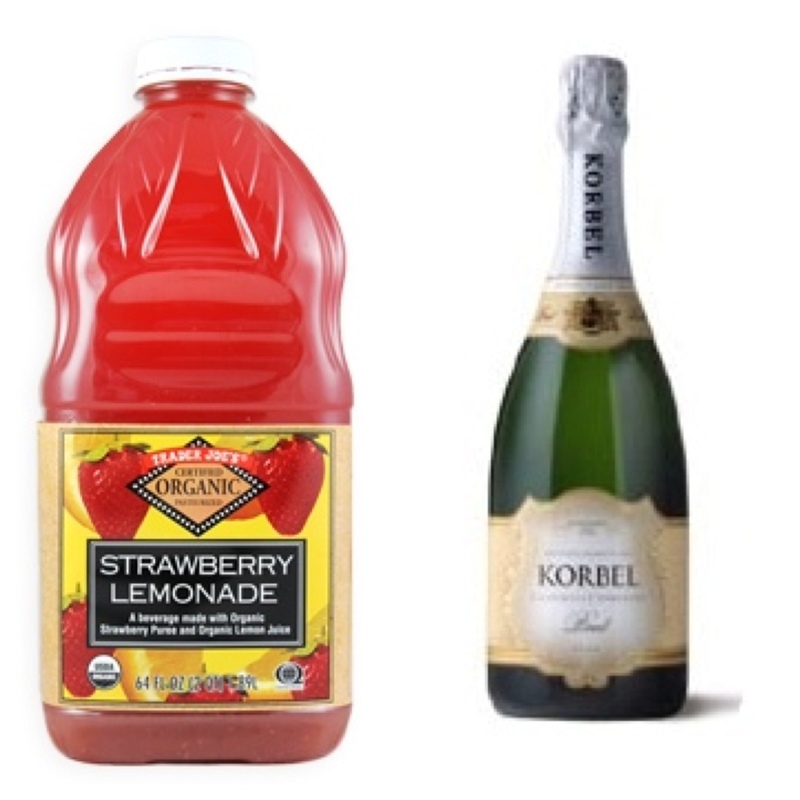 You can easily recreate this cocktail at home by using a fresh strawberry lemonade (Trader Joe’s is usually where I go for that) and a good, slightly tart champagne (I typically go for Korbel Brut). 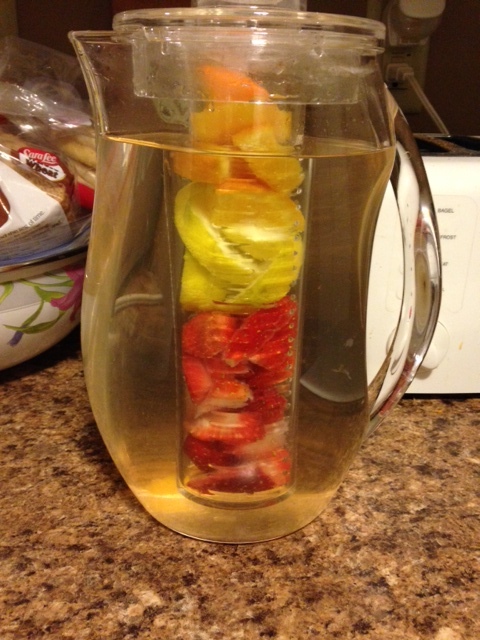 From there, just mix the two to your liking, depending on how sweet or tart or alcoholic you want it! Just talking about it is making me realize a trip to Trader Joe’s is definitely needed ASAP! Yesterday I made a recipe I’ve tried once before, Cajun Chicken Pizza. Since I found it on Pinterest, it’s actually become one of my new easy dinners and definitely my favorite homemade pizza recipe. Instead of making my own pizza crust, I typically just buy the refrigerated kind to save time on a weeknight. Besides that, it has really great flavor, a hint of spice, and gives a new, unique twist to pizza. I wanted to include a picture from when I made it but my hunger got to me! I ended up eating it before I could snap a good picture! Anyone else have any good pizza recipes to share?